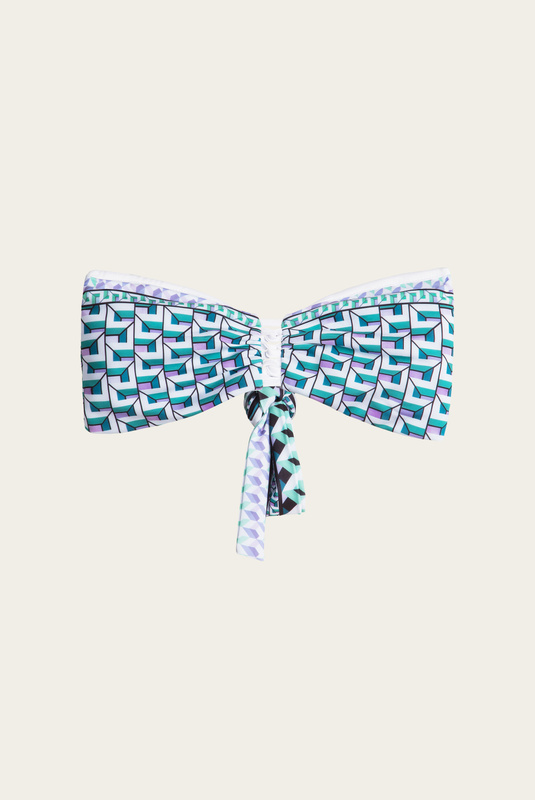 This bikini top is an art deco dream. This green color palette in geometric shapes in this rather simple bandeau cut is a new dimension. With the lace up detail in front it is the perfect match to the high-rise bikini bottoms.